What Is a Reverse Float Level Gauge? 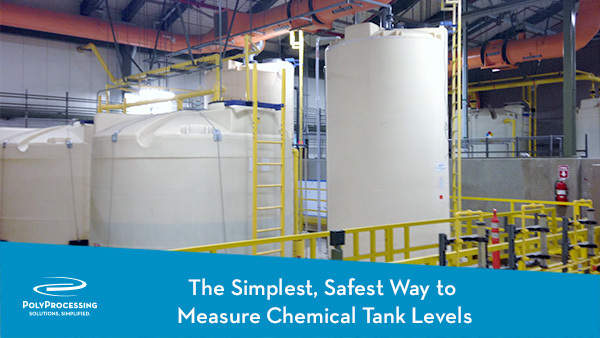 A reverse float level gauge makes it easy to know how much chemical is in your tank, from outside the tank wall. The reverse float gauge can be counterintuitive at first, but it’s an elegant and simple solution that gives you a clear reading from outside of the tank. 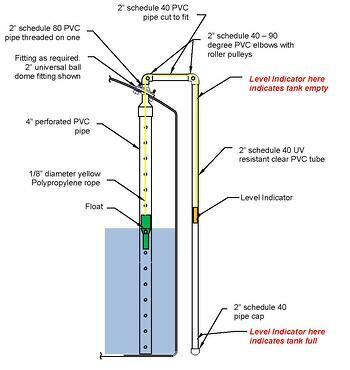 The level system contains a float inside the tank, which is connected by a rope to a weighted level indicator. The indicator is housed in a vertical tube along the exterior sidewall of the tank. As the tank is filled, the chemical lifts the float, and the pulley system moves the weighted indicator downward. As the tank empties, the float inside the tank lowers, pulling the indicator on the outside upwards. In essence, you’re looking at an upside-down representation of the chemical’s level in the tank. When the tank is full, the visual indicator is at the bottom of the tube, and when the tank is empty it’s at the top. It is a reverse indication of the level in the chemical tank—thus, a reverse float level gauge! 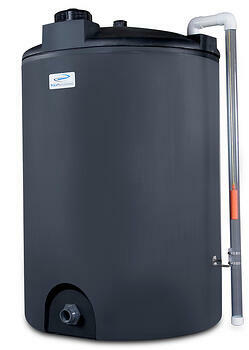 A level gauge of any kind monitors the liquid level of what is being stored in the polyethylene tank. There are several types of gauges including clear tube level gauges, ultrasonic level gauges, etc. While Poly Processing works with many types of level indication, in almost all cases we recommend our reverse float gauge for use with chemical storage tanks.